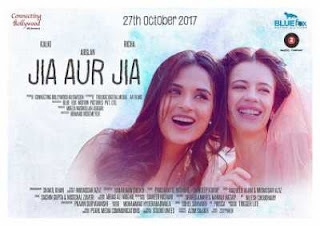 Jia Aur Jia is a 2017 Indian road film directed by Howard Rosemeyer. It stars Richa Chadda and Kalki Koechlin in lead roles. Jia Aur Jia is the directorial debut of Howard Rosmeyer. Principal photography for the film took place in Sweden. A story about two starkly different women that share the same name. Together, they embark on a life-changing journey heading towards the same fate.